Louis Bleriot was born in Cambrai, France on July 1, 1872 and died on August 2, 1936 was a French inventor and engineer most noted for being the first to fly over the English Channel on July 25, 1909, this also being the first flight over a large body of water. The fourty minute flight allowed Bleriot to collect the thousand Pound prize offered by the London Daily Mail. 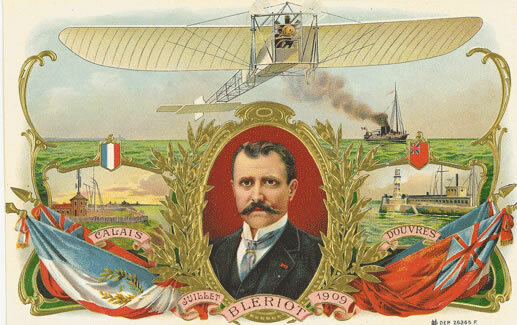 Bleriot later became a successful businessman, starting Societe Pour Aviation et ses Derives which manufacturing 1000's of Allied aircraft during the First World War.